Join Kayak Branson for our APRIL FLOTILLA ADVENTURE on Lake Taneycomo, celebrating Ozark Mountain Shindig Days! Enjoy the beauty of Lake Taneycomo with our fun guide! Single, Double, and Triple Kayaks, and Canoes available. May 19th, 2018, at 1:00 pm. Call 417-336-2811 to reserve. Special Pricing for this Special Event! 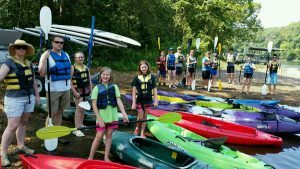 Join Kayak Branson for our SPRING FLOTILLA ADVENTURE 2017 on Lake Taneycomo. Enjoy the beauty of Lake Taneycomo with our fun guide! Single, Double, and Triple Kayaks, and Canoes available. May 20th, 2017, at 1:00 pm. Call 417-336-2811 to reserve. Special Pricing for this Special Event! Join Kayak Branson for our APRIL FLOTILLA ADVENTURE on Lake Taneycomo, celebrating Ozark Mountain Shindig Days! Enjoy the beauty of Lake Taneycomo with our fun guide! Single, Double, and Triple Kayaks, and Canoes available. April 29, 2017, at 1:00 pm. Call 417-336-2811 to reserve. Special Pricing for this Special Event! Get Shindiggity with us! 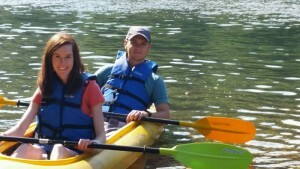 Join Kayak Branson for the BIGGEST Flotilla ADVENTURE on Lake Taneycomo this summer during Ozark Mountain Shindig Days! Learn topographical and historical facts while experiencing the beauty of Lake Taneycomo with our fun, informative guides. Single, Double, Triple Kayaks and Canoes available. Join us Saturday, May 21st at 1:00 PM. Call for more information – 417-336-2811 and reserve your water adventure TODAY! Last year Kayak Branson had the honor of participating in the 2014 Ozark Mountain Shindig Shuffle on 76 Country Blvd last year in Branson, Missouri. With a cast of dozens of folks from area shows and attractions, including stars of the shows and employees as well. Enjoy the video! Taneycomo was formed in 1913 after the completion of the Powersite dam, across the White River. Prior to that time the White River ran freely from its point of origin in the Boston Mountains approximately 735 miles to the Mississippi River. Taneycomo was named after Taney County Missouri or Taney Co Mo. Taneycomo is 23 miles long running from White River Mile Marker 506.1 to 528.8 at the foot of Table Rock Dam. It has over 52 miles of shore line and covers over 2050 surface acres. When it was originally formed, it was a warm water lake which was ideal for bass and crappie fishing and other activities such as swimming and waterskiing. The small town of Rockaway Beach, located on one of the widest spots of the Lake soon became one of the premier vacation destinations in the Ozarks, much more so than Branson at that time, but all of that dramatically changed with the completion of the Table Rock Dam and the formation of Table Rock Lake in 1958. Taneycomo is the only lake that flows north. The benefits of kayaking, canoeing, or paddle boarding on this lake is the fact that it acts more like a river. Especially when they open the gates at Table Rock Lake Dam. We can launch your party just below the dam or Acacia Club ramps. 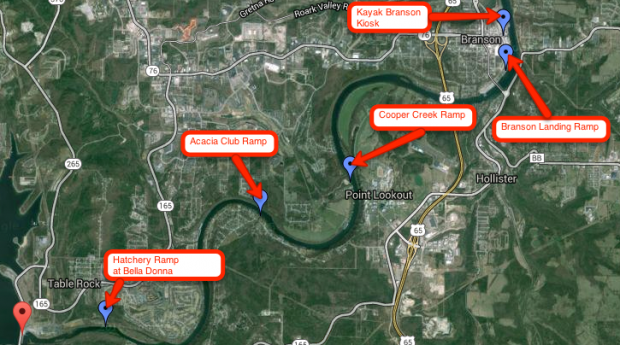 Pick up points are located at Cooper Creek or The Branson Landing. While on Taneycomo, be sure to explore the many creeks that feed into the lake. If the current is moving, you can find refuge in these creeks to take a break along the way and do some fishing or nature watching. Shepherd of the Hills Fish Hatchery is located just below the dam at Table Rock Lake and produces nearly 400,000 pounds of trout each year. Fishing for Rainbow and Brown trout can be very rewarding and is something you can do from a kayak or canoe. Book your kayak, canoe, or stand up paddle boarding trip today! In the past few years stand up paddle boarding has increased in popularity here on Table Rock Lake. You get the benefit of being on the water while getting in a little fitness training as well. SUPs can provide you with a good overall workout. You will use your core to maintain balance to remain upright while moving forward across the lake. The intensity you will experience will be dependent on the lake conditions and distance travelled. If you are paddling on Table Rock Lake near State Park Marina, there can be a lot of waves for boats and wind; your workout will be intense. If you are simply drifting in a protected cove, it will be less intense. Paddle boarding provides the perfect workout for your core using almost every muscle in the body. The major majority of SUP is balance. Your leg muscles will constantly be working to keep you balanced much like traditional surfing. In addition, paddling utilizes your back, arms, and shoulders to propel yourself. The core front and back muscles are always at work to maintain your balance. Another great benefit to paddle boarding is the low impact exercise you get from standing up and paddling at the same time. The sport of stand up paddle boarding on Table Rock Lake is not likely to damage any muscles or tendons. SUP is particularly helpful for runners that are experiencing shin splints or hip and knee discomfort. This is one sport that allows you to burn calories without messing with your joints. There are a number of health benefits to stand up paddle surfing and the best part is it will not cause any damage to your body while enjoying the view of the lake and surroundings. Along the way, you will get a great cardio workout while strengthening your core. What are you waiting for? Come by Kayak Branson today and take one for a spin. Kayak Branson Rents and Sells Stand Up Paddle Boards in Branson, Missouri for use on Table Rock Lake. And, if you are more daring – on Lake Taneycomo. Just be careful not to fall in – it’s mighty cold! Be sure to check out our launch and pick-up locations on Taneycomo. In upcoming weeks we will provide information here on what is happening around the lakes area and here at Kayak Branson. Check back soon!